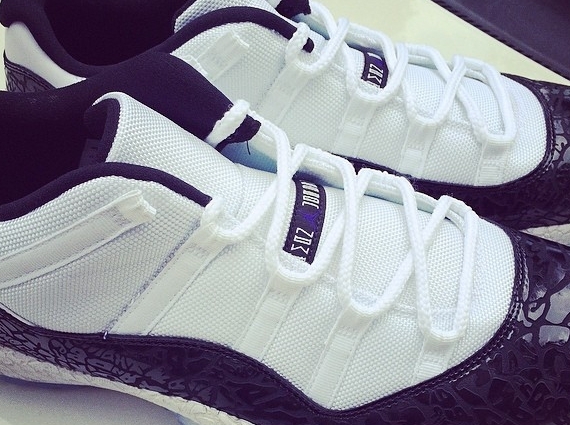 Chi McBride has never been a man to settle for the normal when it comes to Air Jordan 11 Lows. Some of you will remember that championship flavored pack of Lows he had, featuring both the “Concord” and the “Bred”, that showed up way before the former ever had a retail release. And now that they have released, he’s upped the ante with this incredible Mark Smith lasered pair. Continue reading to see the intricate detail etched into Chi McBride’s pair of the Air Jordan 11 Low “Concord” and tell us in the comments if you’re feeling them.